Guest: Tim Ruffner, Rize Inc. I had the opportunity to catch up with three of the biggest names in the Additive Manufacturing space when it comes to plastics and resins. 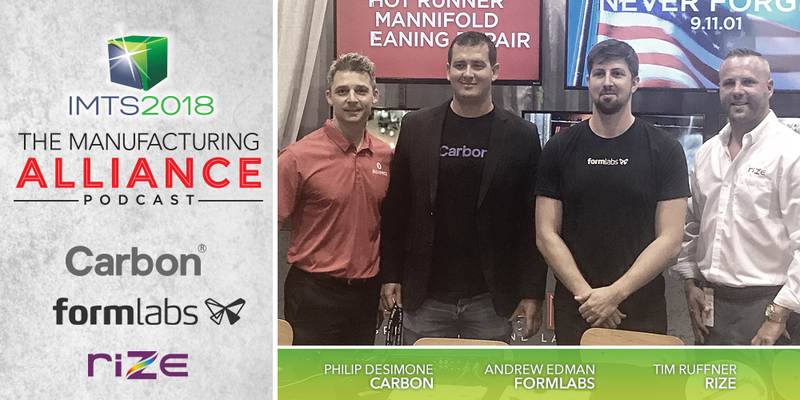 Philip DeSimone; the Vice President of Business Development for Carbon, Andrew Edman; Applications Engineer of Formlabs, and Tim Ruffner; Sales Manager of Rize Inc.